The Mediaplanet Ireland 2019 Women’s Health campaign launches today, Friday 22nd March 2019. We’ve worked with Mediaplanet on this campaign to raise awareness about HIV and Cervical Cancer, with an exclusive feature available online. 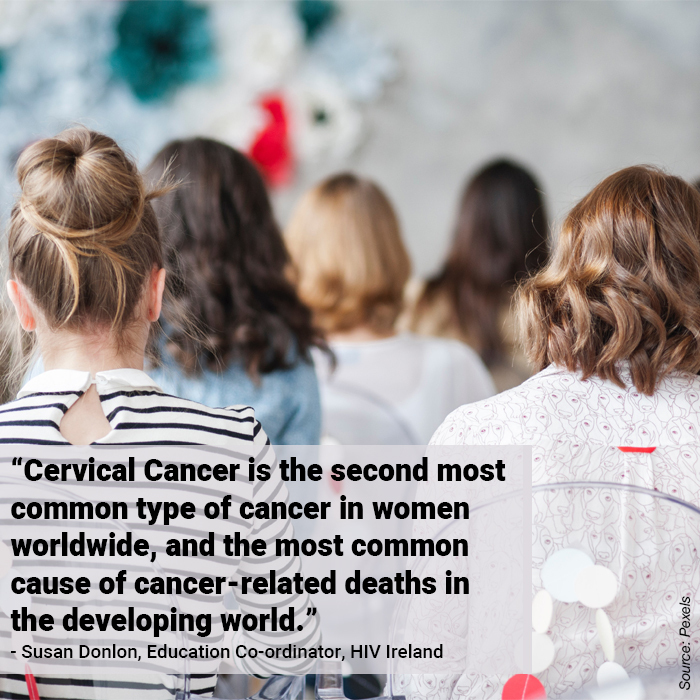 Cervical Cancer is the second most common type of cancer in women worldwide, and the most common cause of cancer-related deaths in the developing world. Women living with HIV are more at risk of cervical cancer and are up to five times more likely to develop cervical cancer than women who do not have the virus. We want to highlight and remind women that Cervical cancer is curable if detected and treated early and that an annual smear test in recommended for women living with HIV. The HPV vaccine is also available for women living with HIV up to and including 26 years of age.